It is a 3 year brand new unit house. Good sized room with build-in wardrobe, heating and cooling, Unlimited internet, central belco location, outdoor entertaining area, garage for storage. It is $172 per week plus bills ($20 internet per month and around $100 each every 6 months for electricity and gas). The room has air conditioning - heating and cooling, and the house is very well insulated in the hot summers and cold winters. The room has a built-in wardrobe with shelves and hanging space. The room can fit a queen bed with a bedside table and drawers, and I had a single bed, large desk and cube storage shelf. Room can come with single bed and cube storage unit as seen in images. 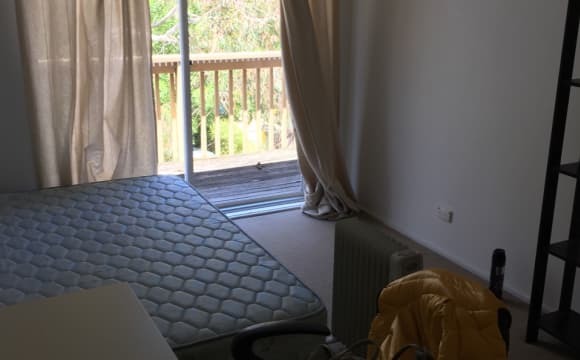 Air conditioner/heating, wi-fi, recently renovated, close to Belconnen town centre. Air conditioning units in all rooms. Built in wardrobes in all bedrooms. Modern townhouse in great location. Close walking distance to the mall and Jamison Center. Two rooms available: - Sunny 3.5m by 3.5m bedroom plus large wardrobe. - 3m x 3.5m room plus small wardrobe. 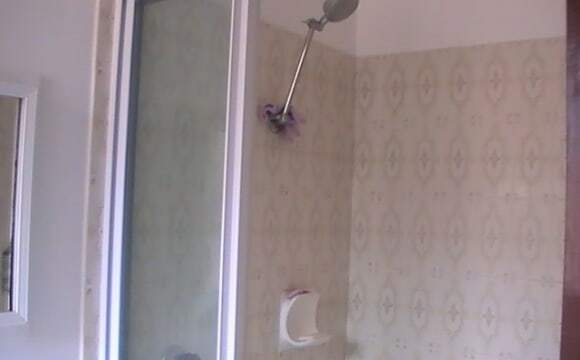 Occupants will be sharing the main bathroom. There is also kennel and a huge back yard available for your dog(s) - pet owners are encouraged to apply. House also features: Huge sunny kitchen. Central gas heating. Lots of storage. Off street parking. 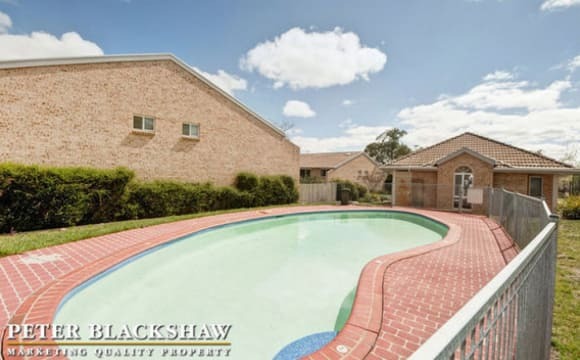 12m swimming pool ADSL2+ Study Furnished and equipped Pet friendly Feel free to ask any questions. If your question is “is the room still available” the answer is Yes. Have an awesome day and good luck with your search! Rent includes all regular bills (electricity, gas, water, ADSL2+). This spacious 2 bedroom apartment sits along beautiful Lake Ginninderra, behind the Westfield in Belconnen. It’s only a 5 minute walk to the shops and there’s a lot of great eateries closely located for a cheeky Friday night takeaway. Ensuite Room for Rent $250 (Single or Couples, Short term or Long term) in Fully furnished 3 bedroom house. Room has Double bed, XLarge built in wardrobe, heating, own shower and toilet. House includes reverse cycle air conditioning. All white goods and kitchen appliances. Great Location in a quiet, friendly neighbourhood, Bus stop across the road straight to UC, ANU, Belconnen City Shopping Centre, and Bus Interchanges. To share with 3 others that are responsible, tidy, and like to live simply. If interested contact Amanda by phone or email ROOM AVAILABLE from Tues 9th April 2019. Hi we are looking for someone to share our home with. We are young none smoking, social, clean ,tidy and friendly people who love to chat over a beer or wine or settle in for a movie on the couch. We are a male and female who both work full time, we are very clean and tidy and take pride in our home. We are very compromising and work as a team as house mates. We would love to share our home with someone with similar interests. We are located across the road from the Belconnen bus interchange and we are only minutes drive from the city. The apartment is two levels, fully furnished with reverse cycle air conditioning in every room, there are two bathrooms up stairs and a toilet down stairs, it is very large and very modern. We have a large balcony with a stunning view of the lake. Our internet and electricity bills are always cheap. There are two lounge rooms with TV's so there is plenty of room to share and plenty of room if someone wants their own space. The room available is unfurnished, it is large with large built in wardrobes and has an amazing view of the lake. Our new house mate will be sharing the bathroom with one female. Must be house trained, clean, tidy and have daytime work hours. 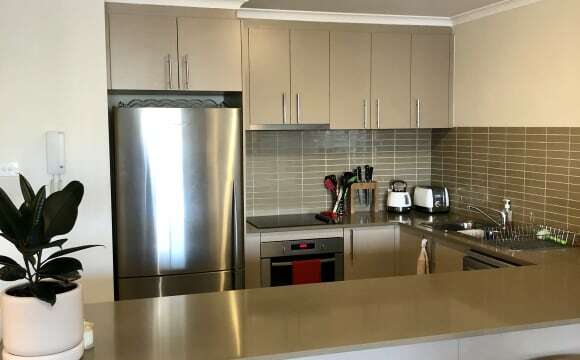 It is a nice and spacious house, close to Belconnen Mall, Belco Markets, Jamison Shops, and the Uni of Canberra. The house has 2 cooking stoves areas, 1 gas, and 1 electric. The house has ducted cooling, so in hot weather, the house stays nice and cool. The bedroom for rent is large with lots of cupboard space. I like the house to be kept clean, so a roster is set up for cleaning. It is essential that the future flatmate is clean and respects the privacy of the other people in the house. The No.40 bus is the nearest, although a slightly longer walk will get you to Belconnen Mall and more buses to choose from. Four bed room house available in right behind belconnen mall Rent $699 fully furnished 4 bedroom +lounge +Dining + family +Huge deck Large comfortable house fully furnished with fairly new furniture. Separate Bathroom and Toilet. Ducted central heating and cooling. Fridge, washing machine, large plasma TV. Electric cook top, oven, microwave, and plenty of cabinets and draws Separate Bath and Toilet. Direct bus to ANU, UC, city and other town centre. Large back yard with big outdoor entertainment area. Garage, car port and plenty of car park space in front of the house Safe and quite neighborhood. Room is in good size includes robes. The house is close to bus stop and only 5 minute drive to Belconnen Mall and 7 minute drive to University of Canberra. Woolworths, MacDonaldâ€™s, petrol pump, club and local shop just 4 to 5 minutes walking distance from house. unlimited internet is provided Family, Interstate people or group of students welcome. The house has three bedrooms and 1 bathroom. Your bedroom fits a queen bed easily. I will be keeping the smaller room as a study/guest room which you would be welcome to use. The rest of the house is furnished but your room is not. The house features good size living, dining and kitchen spaces with a cozy fireplace in the middle! It also has heating throughout. Outdoor features include a good size yard (no pets though), garden, veggie patch, large back deck, storage shed and carport (although I use this and pay a larger portion of rent to reflect this). Looking for a housemate to move into my house in Florey. $220 a week, paid monthly, plus quarterly electricity and water bills. You will be required to sign a 12 month lease and have an application approved before moving in. The room will be UNFURNISHED, but shared spaces are furnished. The room will be available in 1-2 weeks. It’s a 3 bedroom place, sharing with me and my ex-racer greyhound Kevin. The room is big enough to have a double bed and some storage, and it has built-in wardrobes. The main bathroom and seperate toilet would also be (mostly) yours (guests would need to use that bathroom, and occasionally I might use the bath when it wasn’t being used). You would also have half of the 3rd bedroom (it’s very small) that is being used as a study. There is also a car spot available. The house is in Florey, very close to the shops. 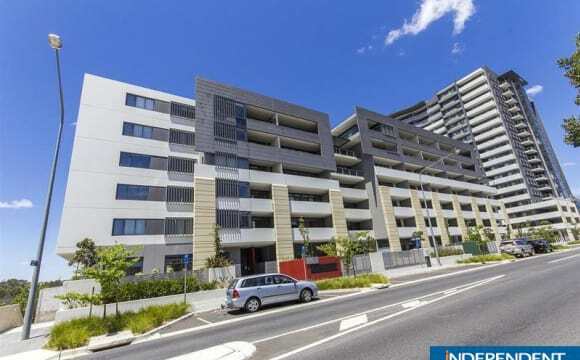 It’s about a 5 minute drive and 25 minute walk to Belconnen Westfield, and about a 15-20 minute drive into Civic. There is a bus stop around the corner from the house, and the trip into Civic takes about 35-40 minutes. I have also posted this ad in the Canberra Share Housing Facebook page if you are not able to message me on here! Fantastic ensuite room with private bathroom. Room and house are fully furnished, so just bring your suitcase and settle in. Would suit a couple looking for something better than campus accommodation, but cheaper than getting your own place. Room has a double size bed, massive built-in robes, and a private bathroom. Shared areas include a well furnished living room, laundry with wadhing machine, and a completely stocked kitchen. The place is right next door to the belconnen mall which include all social amenity, and some of the best restaurants in Canberra. Surrounded in parks, which are great to just hang out in on a sunny day or for playing sports. We'll let you take care of your own spaces, but we will all share duties in keeping the communal spaces clean. All bills included in the rent.free access to swimming pool tennis court and gym. Couple is 20 dollars more to cover the utilities. ONLY 1 Other Flatmate in Apartment (all the other offerings have 2 or more existing flatmates in the same apartment = lack of privacy). Rental Inclusions: (All Utilities) - Water Bills = Included - Gas Bills = Included - Electricity Bills = Included - Internet Bills (100MB NBN Unlimited) = Included Features: - Modern High-Rise Complex. - Fully Furnished thru-out - Fully stocked kitchen (utensils, cutlery, etc.) - Uninterrupted full Lake Views. HIGH UP on Level 11. - Security Building &amp; unit, quiet &amp; safe. Proximity: - Next-Door to Major Westfields Shopping Centre (30 seconds walk). - Major Bus Interchange (0 min walk @doorstep), Right on the BLUE Rapid Bus Route in Belconnen, arrives every few mins during peak hours. 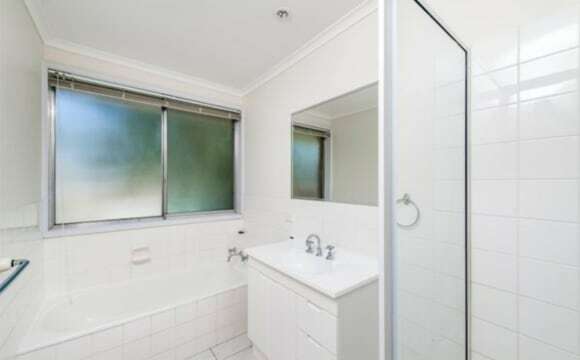 - Easy access to Uni Canberra, ANU, City... This property really needs to be inspected in person to really appreciate whats on offer. 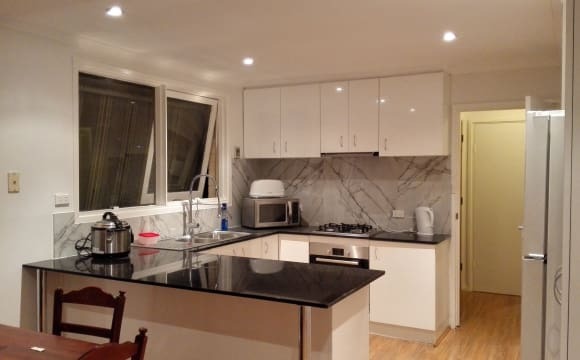 The asking price is for one of the two rooms, you will only be sharing the apartment with 1 other person, and have your own dedicated bathroom/car-parking/bedroom etc. Overview of the unit in this Sentinel Complex: - 2 bedrooms (one of which is yours) - 2 bathrooms (no need to share) - private ensuite. - split system air conditioning - 2 secure undercover parking, side-by-side (one of which is yours) - large balcony with amazing lake-view, - modern 60" LED TV - including full kitchen facilities (cutlery, utensils, etc..). - fully functional built-in wardrobes. - gym on-site - heated pool on-site - BBQ area on-site - secure lock-up storage in garage - large 110sqm total unit area Target Market: - business professional or post-graduates, as it's considered a high-end apartment. 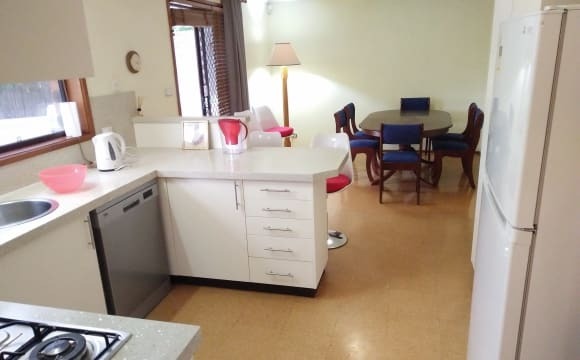 - apartment is a quality lifestyle choice This Apartment has the Preferable TYPE D2 setup which differentiates it significantly from all the other (smaller) 2 bedroom units in the Sentinel (some of the others are actually 1 bedroom with 1 study only). Only 1x TYPE D2 exists on each floor. Rental is inclusive of everything listed in this ad. For less you can probably find a bare room or something of similar quality; finish, but without all the inclusions, lake-view aspects, etc that i have added are on offer.. Lease Duration: 6 months+ No Students, No Couples, No Pets - Apologies. Address Location: 39 BENJAMIN WAY, BELCONNEN ACT 2617. The property is fairly new. It offers a free gym, pool, sauna, barbecue area and a lovely courtyard. Most utilities like a fridge, microwave etc will be provided. The building is about a 5 min walk from Westfields, Ginninderra Lake and the main Belconnen bus stop. Your room will have a large wardrobe for all your clothes and a window that outlooks onto the courtyard. Available from mid-July .. if you would like to move in before then, you might have to share a few things with an extra housemate. And of course, we'll adjust your rent accordingly. We have 2 rooms to rent in this spacious light filled top floor three bedroom ensuite apartment. The main bedroom (bedroom 1) is available now with the owner looking for a 12 month occupancy but will consider 6 or 3 months. The 3rd bedroom will be available next Wednesday 17 April to move into with the owner looking for a 12 month occupancy but will consider 6 or 3 months. 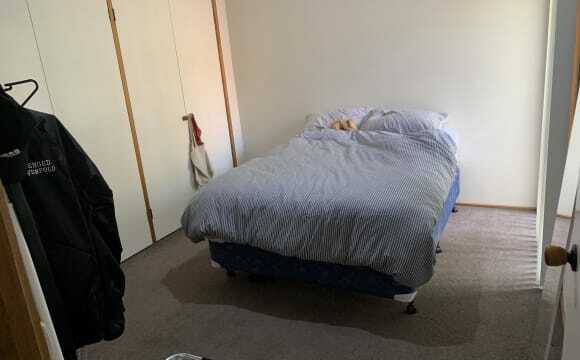 Bedroom 1 - available now - $330-$350 per week negotiable Furnished room for rent at $330 -$350 per week including utilities and NBN internet (negotiable) . The rent per week may be negotiated depending on your requirements and occupancy length. Large spacious bedroom with balcony. You have your own ensuite bathroom with spa bath. 1 underground basement car space. 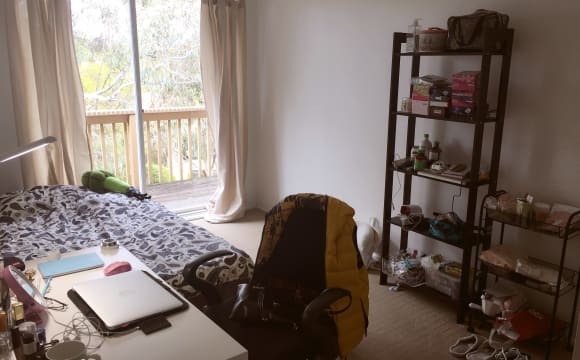 Included in rent as well as utilities (electricity, water, NBN internet) Bedroom 3 - available 17 April 2019 - $260-$280 per week negotiable Light filled room currently with single bed, desk and bedside table. Shared bathroom with occupant in bedroom 2. 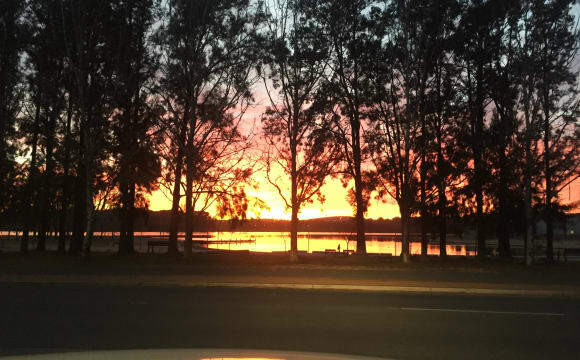 Basement carpark included in rent as well as utilities (electricity, water, NBN internet) The open plan living area enjoys skyline views of the lake on two sides with two balconies and is joined by a modern furnished kitchen with dishwasher. The facilities within the complex include indoor and outdoor pool, gym, tennis courts, sauna, intercom and underground parking. In addition to these great facilities, the location is ideal for easy access to the Belconnen mall, farmers markets, government departments and University of Canberra. Please note that these rooms are individually managed by Fox Property Management. Please note that pets are not suitable for this property. fully furnished bedroom. 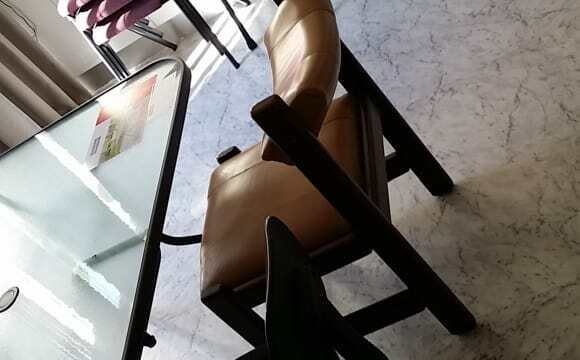 in common areas, there is air con, a tv with Netflix, Stan and a ps4 connected. the apartment has some lovely views and gets nice sun all day even in winter, there is also a balcony for communal use. the complex boasts a tennis court, squash court, gym, 2 pools, spa and sauna. there is a carpark and separate storage unit as well. Huge house in a quiet street, with local shops close by. Heating, air conditioning and pool. Rent includes internet, Netflix &amp; Stan. MUST be LGBTI friendly. Sunny 2 bedroom apartment close to Lake Ginninderra and Belconnen town centre. Area offers: - Westfield Belconnen mall 3 minutes walk away - Belconnen Bus Station 2 minutes walk away - Canberra International Sports &amp; Aquatic Centre 3 minute walk away - Restaurants, pubs 3 minutes walk away Apartment offers: - High speed internet - Netflix - Swiming poll - Gym - Balcony - Dishwasher - Washing machine - Clothes dryer - Refrigerator - Kitchen utensils and appliances shared usage, including microwave, fridge, kettle, toaster, oven, stove, sandwich press, secure intercom for the apartment. 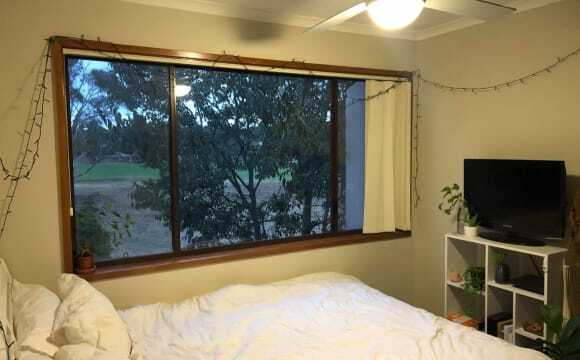 A fully furnished double size room with BIR in house in belconnen. Older style, cosy 4 bedroom house with 2 toilets and one bathroom. Relaxed, friendly, neat and tidy house. 175 per week or 200 for couple with shared bills. Possible option to extend.